The Master of Physiotherapy (MPT) programme helps students build their specialization across functional areas viz. neurology, musculoskeletal, cardiopulmonary & intensive care and community based rehabilitation (CBR). The curriculum incorporates group projects, lectures, classroom discussions, training etc. Students receive guidance and mentoring from competent and experienced faculty. Research is integral to the programme. Students can explore employment opportunities in Training Institutions in India and abroad, Corporate Hospitals, Rehabilitation Center, Polyclinics or get into private practice. Musculoskeletal (MPT) includes treatment of musculoskeletal system that has been subjected to injury or trauma. This includes sprains, strains, post-fracture, post-surgery & repetitive injuries of neck, back & extremities. 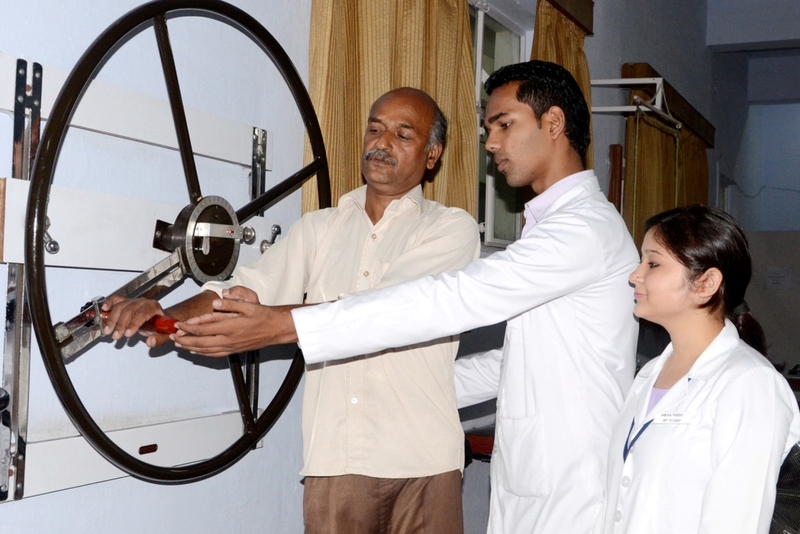 Neurological Physiotherapy is the treatment of patients who have a neurological disorder. Disorders are those affecting brain, spinal cord & nerves; such as stroke, MS & Parkinson’s disease etc. This programme provided unique opportunity for physiotherapist who wish to develop and extend their knowledge base and professional expertise in the field of Neurological rehabilitation. Cardiopulmonary & Intensive Care Physiotherapists are involved in helping clinicians to treat Cardiac and Respiratory problems. The course also contains a detailed study of various kinds of action that can be performed on the heart to make it more efficient and healthy in its working. Community based Rehabilitation programme has a strong multidisciplinary influence with an emphasis on current and emerging community rehabilitation and disability theory & practice, social policy, contemporary rehabilitation & human service environment and leadership. Students develop enhanced problem solving skills, high level assessment and intervention skills across individuals, families, groups & communities, practice based research skills and competence in evidence-based practice, as well as capacity for critical reflective practice and leadership development.